Wallpaper optimized for retina displays. 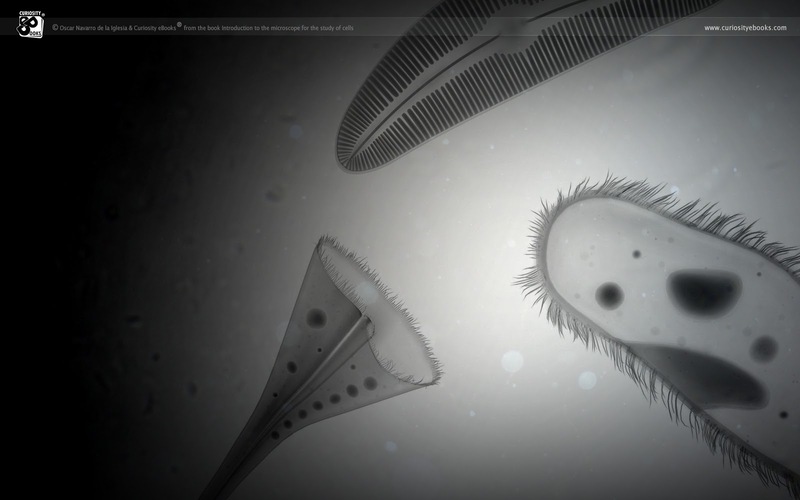 Demo video of the ibook " Introduction to the microscope for the study of cells " . This month Curiosity eBooks has introduced the first interactive ebook for iPad from the collection "Laboratory Practices" in the Apple iBookStore. 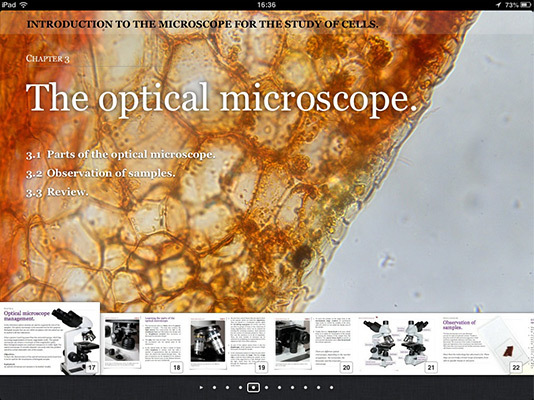 The title of the first volume is "Introduction to the microscope for the study of cells". 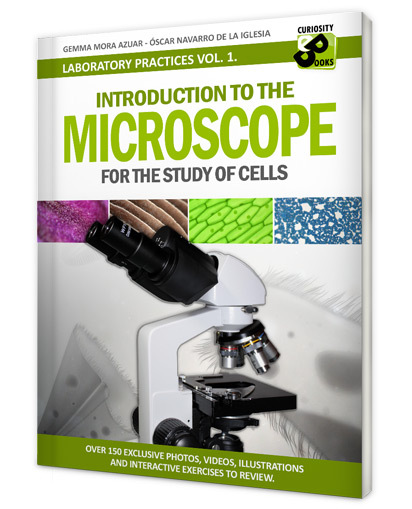 After a brief introduction to how the book works and the materials basically needed for the practices, the book starts explaining the parts and management of the stereomicroscope and the optical microscope. The explanation is completed with high quality pictures and demonstration videos. 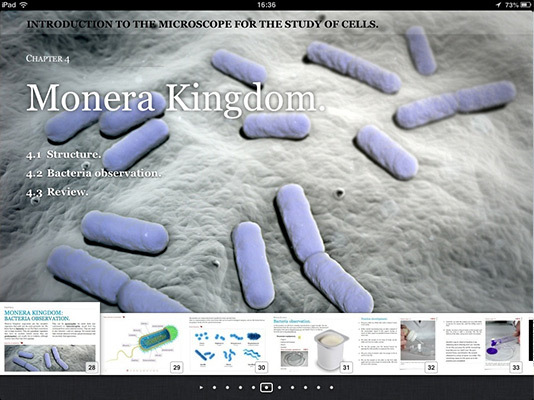 The following chapters are a tour of the different cell types that can be found in each of the Nature Kingoms: Monera, Protoctists, Fungi, Plants and Animals. After a theoretical introduction with high quality infographies, a simple practice is developed step by step with pictures, and in some cases with explanatory videos. At the end of each chapter there are review exercises to review the theory of the subject. Also you can contact us via Twitter and / or Facebook.